My second favorite time of the year has finally arrived. With the arrival of our first few mild cold fronts, Red and Gag Grouper have begun their fall migration into nearshore shallow water haunts. 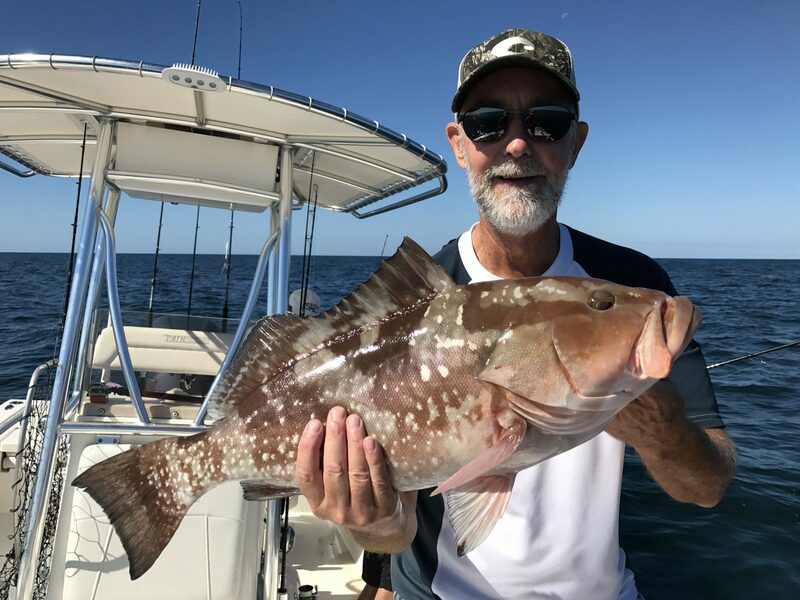 This seasonal migration offers bay boat anglers the opportunity to target keeper sized grouper well within sight of land. 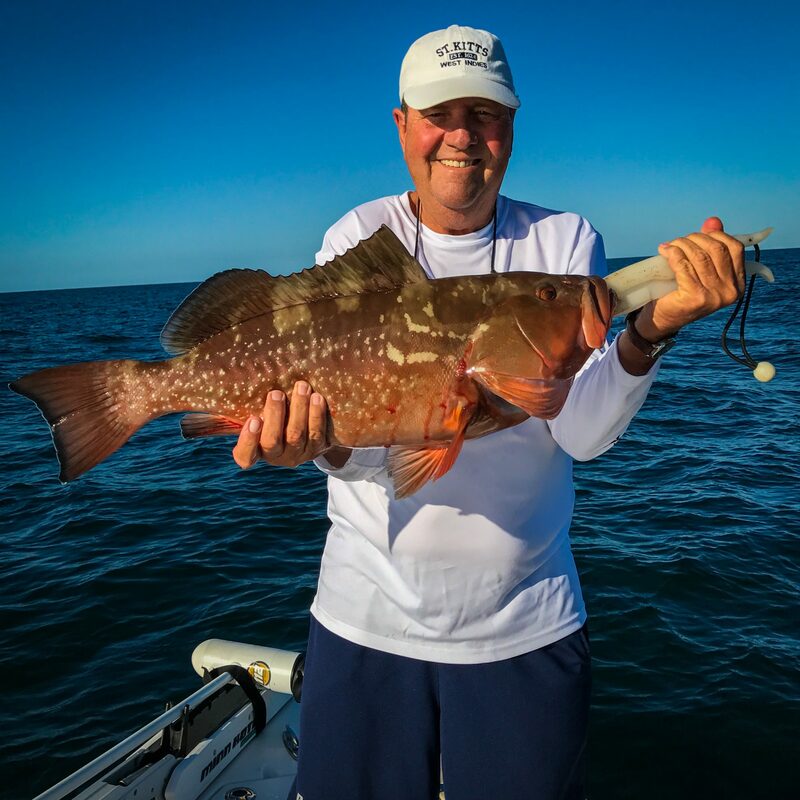 Chunky Red Grouper Caught in 50′ Off Sanibel Island. 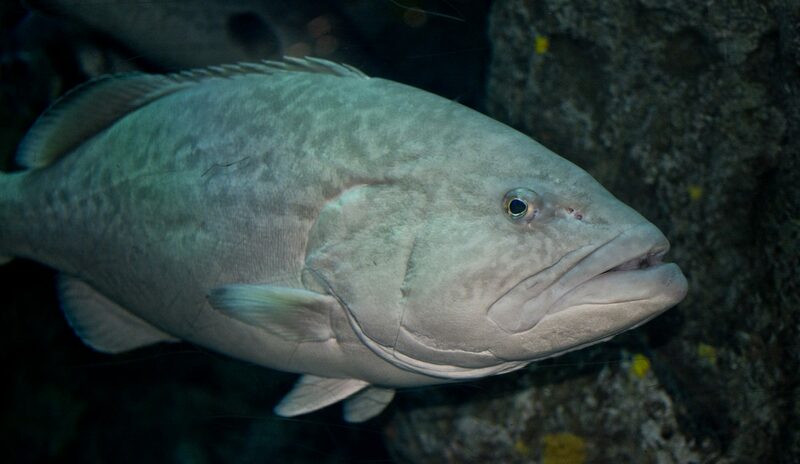 Arguably the most popular Gulf Grouper species, these brown bulldogs venture well inshore as the Gulf water temps drop. Shallow water debris and rock piles will hold plump gags in water just a few feet deep. 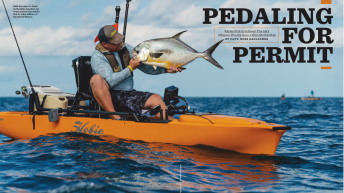 While these super shallow haunts are rarely shared, coastal passes and shallow nearshore ledges will hold healthy numbers of gags in the coming months. The most common methods for targeting gags is trolling lipped plugs near the bottom, or anchoring up on rock piles, ledges and wrecks. Red’s are generally easier to locate and can often be caught by drift fishing live bottom areas in 40′ – 60′ during the winter months. They often relate to very low profile exposed limestone and soft coral areas. When drifting new areas, note that Red Grouper generally school by size. If you’re catching a lot of short sized grouper, it’s a sure sign the larger ones will be somewhere else, even if it’s less than a mile away. While Red Grouper generally winter in depths slightly out of reach for trolling plugs, some anglers are able to bounce bottom near 40′ for keeper sized Red Grouper as well. 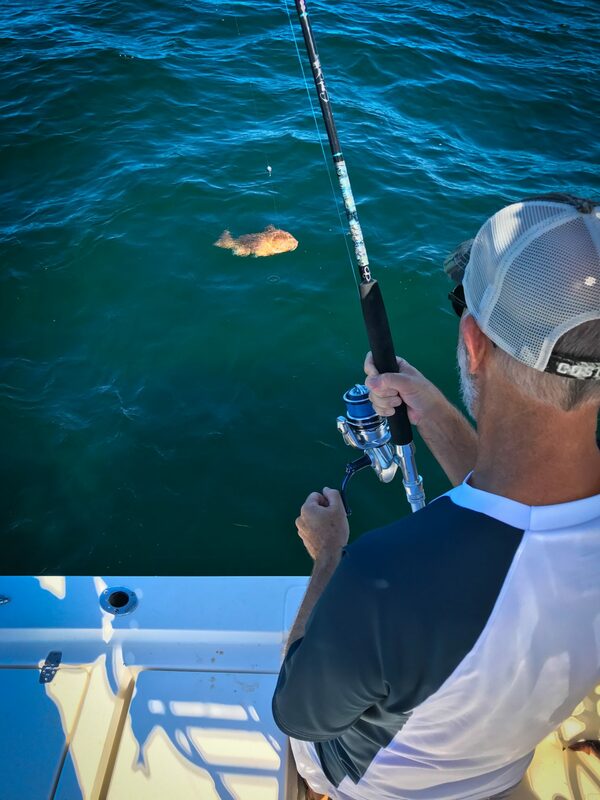 I use several different methods to target grouper in the fall. I’ll take several factors into consideration when deciding what techniques will be used on a given trip. Here’s my thought process. 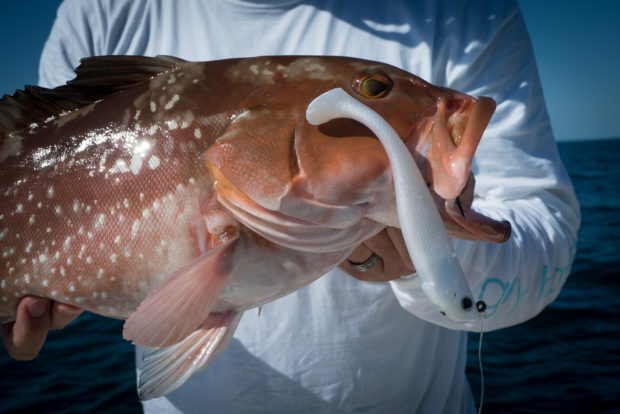 Trolling Plugs: Trolling lipped plug lures is a simple and highly effective method for targeting grouper in water up to 35′ deep. Deep diving plugs are utilized on heavy tackle trolling outfits and trolled at 3.5pmh to 6mph. It’s a wonderful way to scout for new fishing areas and it’s also great for pulling big grouper away from heavy structure. I prefer to troll in depths of 18′ to 30′. These depths generally produce Gag Grouper, so I’m looking to troll near hard bottom areas with small breaks and ledges. Note: Trolling is an excellent way to scout for new bottom areas an active fish. Make sure to mark your GPS when a fish is hooked for a second round of trolling or jigging. Mark That Productive Grouper Bottom! Chunky Gag Grouper on Trolling Plug. 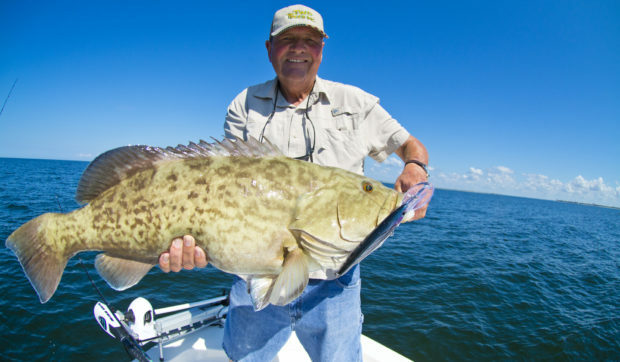 Vertical Jigging Lures: Jigging is my personal favorite way to target grouper. It’s an active and effective way to thoroughly cover an area to find active and often larger fish. Heavy action spinning outfits are preferred for jigging, they offer a lighter weight package that’s more comfortable to fish for extended periods of time. Casting and Jigging Soft Baits, like the Hogy Pro Tail Series is excellent for covering bottom while drifting and on anchor. Unlike high speed style butterfly jigs, Soft Bait Jigs are most effective when used at a slower jigging speed, close to the bottom. This Red Grouper Fell For A Hogy Pro Tail Paddle Swimbait. Natural Baits: Soaking live and dead baits like pinfish and squid is the most traditional and consistent method for targeting grouper. Most anglers are quite familiar with natural bait fishing techniques. I typically incorporate two natural bait rods and two jig rods when fishing on anchor or drifting. The scent of natural bait often brings in fish from a distance, giving you a great indication if the location is holding active fish. Tip: Grouper in very shallow water can be line shy. I’ll typically start with 40lb – 50lb fluorocarbon leader when targeting Gag Grouper in less than 30′ of water. 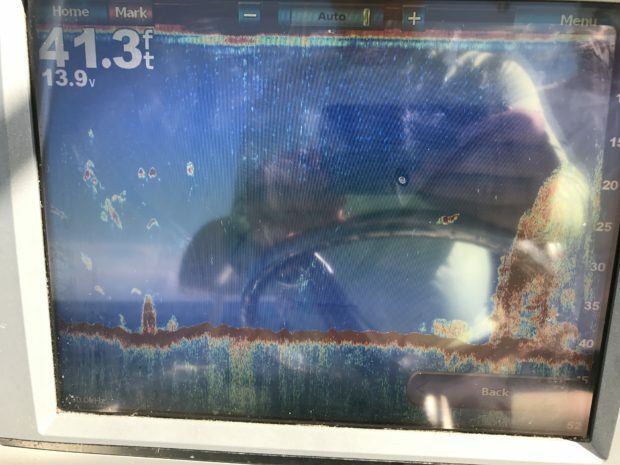 It’s important to use the lightest possible weights in these shallow depths. I’ve often seen fish ignore a standard 80lb grouper bottom rig, yet jump all over a light weight jig head-rigged pinfish on 40lb leader. You’ll break off a few fish, but the increase in strikes is well worth the hassle. Angler Landing a Live Bait Caught Keeper Red Grouper.